Hands down, the Magic Kingdom is the best park for.. well, in my opinion - anyone, but definitely the most entertaining with a small child. Fantasyland alone currently has no height limits on any attractions, though this will change with the reopening of the "Great Goofini" and the eventual opening of the "Snow White Mine Train" rides. Even outside of Fantasyland, there are attractions all over the park open to the little ones - and it's honestly my favorite place anywhere to spend time with my toddler! The question comes down to this - outside of the Magic Kingdom, what are the best options for little ones? Today's throwdown: Epcot or Disney's Hollywood Studios. Mission: Space - Though I've not personally been in there, I keep reading that it has a great play area inside, near the exit of the ride! Innoventions - Both East and West provide air conditioned areas to run and burn steam, or to discover the different challenges offered! My son's favorite part? The fire truck on display! Water Play - Epcot has fantastic splash pads to help cool off anyone willing to jump in! Flower and Garden Playground - if you're visiting Epcot during F&G, they install a fantastic looking playground every year. If only they would keep it year round! Mexico Pavilion - The Three Caballeros - fun for all! Musicians, gymnasts, candy makers, hedge maze, trains, and so much more! Honey, I Shrunk the Kids Set Playground - a large playground themed very well to an outdated movie.. One slide is a 35 mm roll of film, which a cast member told me most kids think is a battery! Disney Junior: Live on Stage - If your little ones like Jake and the Neverland Pirates, Mickey Mouse Clubhouse, Little Einsteins, and Handy Manny, this show is for you! It has posted times and they won't let you in once they've closed the doors, so don't be late! We missed it twice last trip! Toy Story Midway Mania - for us, this is the biggest pull to the park. At 2, Noah finally started to play a little, but he mostly just watched! Voyage of the Little Mermaid - Have a child that loves the little mermaid and can sit still? This is another show, located directly across from Disney Junior! Citizens of Hollywood - one of our absolute favorite experiences at DHS was interacting with a Citizen - he "taught" Noah how to ride a horse! Of course, it was a toy horse, but he was so creative and really made our day special! Character Meets - We have had the best experiences with character meets first thing in the morning - many of the characters are waiting in front of the Sorcerer's Hat for pictures and Buzz and Woody have their own meet and greet across from TSMM! 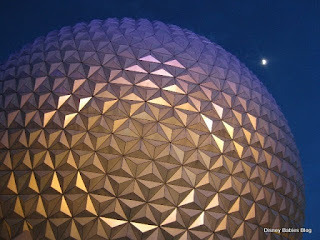 For us - Epcot is a hands down winner over DHS. But, I know many others who feel very differently! What are your favorites in the two parks for little ones? What have I missed? My full 4 park places to play list! A great post from All Ears about places to play! This is a neat topic! I confess my selfish colors show on our Disney trips a bit... and because I love EPCOT so much, it wins over HS if we have to choose! If you have a little one that enjoys character shows, though ... you'd have to add to HS 'Beauty & the Beast' (which is so fantastic, moves quickly and with great costumes, dancing & music) and the 3D Muppet Movie - both of which are nice and tame. :) Age 2 is pretty young to sit through shows, though! We haven't even tried Fantasmic... my daughter scares easily and it sounded like a little too much.